Dwell by Cheryl: "Green Jeans Style Challenge"
I typically prefer to keep my posts focused on the blog's original intent, to bring budget interior design ideas and inspiration to the masses. However, every now and then I think it's fun to veer off path. If nothing else, it gives you a little glimpse into my world beyond interior design. While I LOVE decorating, my attraction to all things stylish didn't begin there. It actually started with fashion. 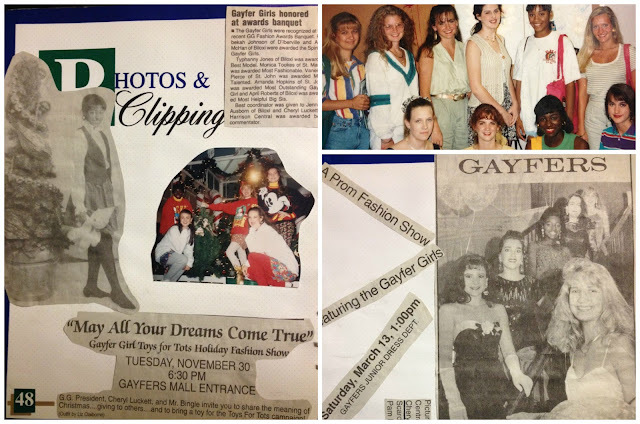 I spent the better part of my high school years as a Gayfer Girl (actually president). 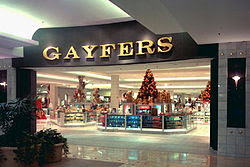 Gayfers was a regional department store that I practically grew up in. They had a Teen Fashion Board that was used to promote the store through fashion shows, events, etc. I absolutely loved it. I was probably a little obsessed. I spent many a school night pulling and steaming clothes for shows, writing commentary and working as a gift wrapper, fitting room checker and watch watcher at the Biloxi, MS location. The experience taught me so much, including how to manage a quick change into a head to toe look in 60 seconds flat. This week, I get to put those skills I learned way back in the day at Gayfers to the test. The annual Green Jeans Consignment Sale begins on Wednesday. Yep, that's our friend Whitley of Queen City Style as the sale poster child. 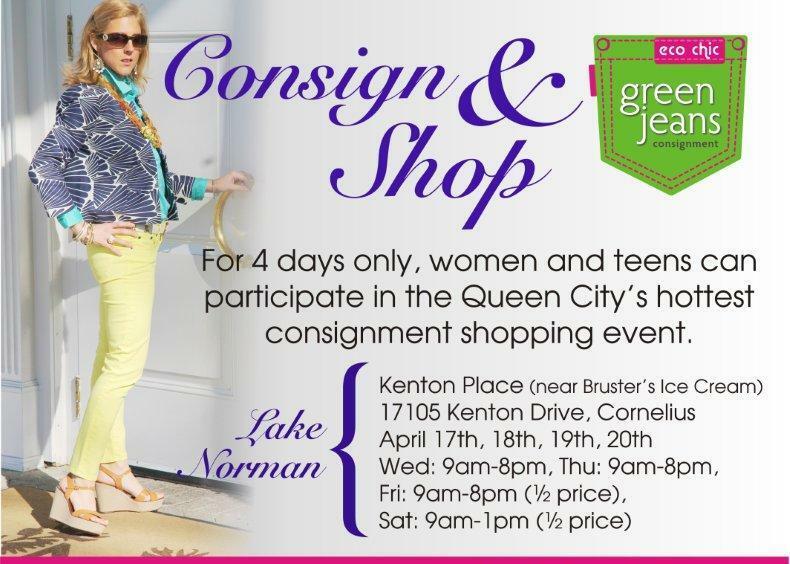 Green Jeans is a semi-annual, 4-day consignment sales for WOMEN in Charlotte! Every Spring and Fall sisters, Cindy Williams and Dana Degan host unforgettable shopping events that benefit everyone involved: consignors, shoppers and community organizations. The sale features new and gently worn brand name, boutique and designer clothing, shoes and accessories from petite to plus sizes. This year I decided to consign and as a consignor, I'll earn 65% back on every item I sale. I will also receive VIP shopping privileges for me and a friend at the exclusive pre-sale shopping events. I checked in last night and preparations were well underway. Cindy and Dana do a great job of marketing the sale. Daily post on Facebook, Instagram and Twitter feature sneak peeks and giveaways, not to mention, a Style Challenge. Which is actually the reason for my post. Guess who's one of three contestants in this year's challenge? You guessed it! ME! The other contestants and I will have the entire store to ourselves! 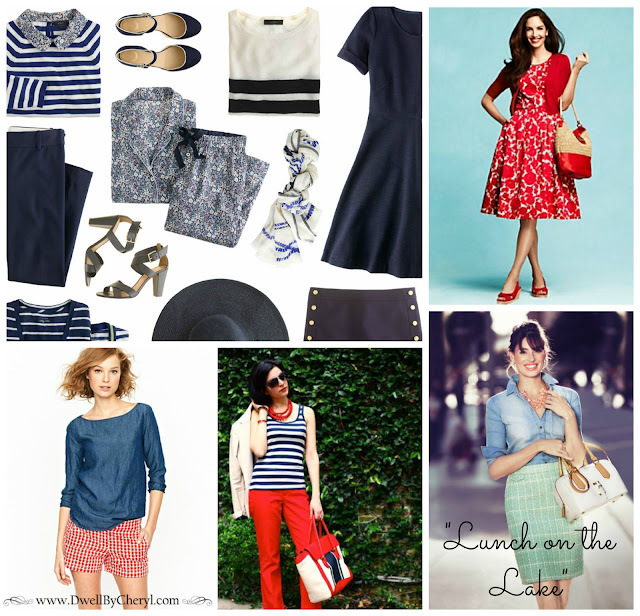 In one hour, we must style ourselves from head to toe (Theme: Lunch on the Lake) for under $100. We will be photographed and pics will be posted on Facebook on Tuesday at 5:00 p.m. The challenger with the most votes will win her outfit! The voting will begin on Tuesday and end on Wednesday at 3:00 p.m.
You can ONLY vote on the Green Jeans Sale Facebook page once the photos are posted. You can also follow them on Twitter and Instagram (@greenjeanssale). And of course, if you live in Charlotte, I'd highly recommend going to the sale. Got My Vote! Even if I didn't know you. Looks like a lot of fun, but I don't think I have the patience for this type of shopping.